We have 50,000 codes for Crytek’s PC first-person shooter Warface to give away, granting two free weapons and other VIP perks. 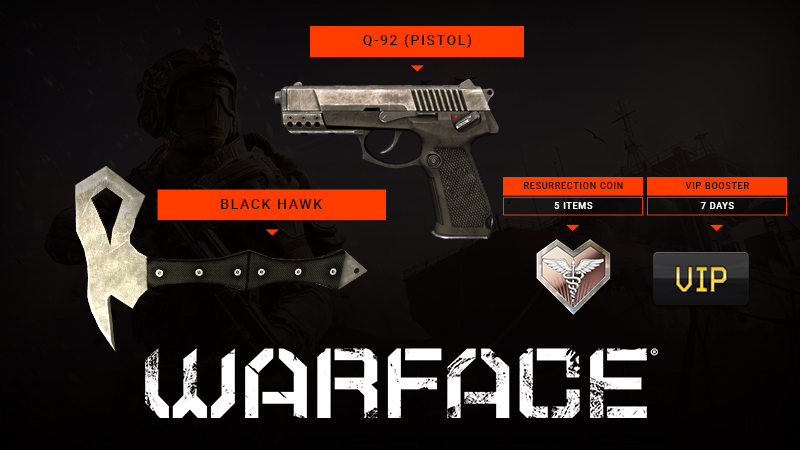 The region-free code gives the player the P-92 Pistol and the Black Hawk axe for free permanently, as well as five Resurrection Coins and a 7 day VIP Booster. To grab the free code just enter your details in the widget below. You’ll need to have or create a Warface account and download the free PC game before using the code, which you can do via the official Warface site.